Thoughts: I plan to leave early tomorrow morning. 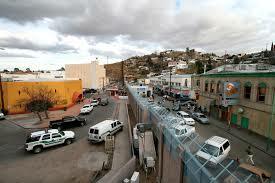 I wonder if I’ll make it through the border in Nogales; I have nothing to declare at customs, so it should go smoothly. I am keeping my balance. My car needs some bodywork and I heard it can be done well in Mexico. My first stop is Old Kino Bay; I used to have friends there. I’ll keep you posted. The Fence! Are we a civilized country? Species? Do we need to evolve perhaps? Have a wonderful journey. Enjoy your sharing it. Thanks Roark. I have been delayed by circumstances, but should be leaving early tomorrow morning, if all goes well. Here is wishing you the best also.